New to the e-commerce mattress game this year is HIBR (short for hibernate), who launched their mattress in February of 2016. This company started off selling a cooling pillow then made the leap into mattresses. I actually tested both the HIBR mattress and pillows at the same time. My HIBR mattress review goes into full detail on what sleeping on this mattress was like. The HIBR mattress is a foam mattress this is made from different three layers of foam. The top layer is their comfort and ‘cooling’ layer made from graphite gel memory foam. The comfort I definitely did notice. It was almost as if the bed gave me a gentle hug before it fully supported me. I never slept hot either, so I suppose the top layer did its job. The second layer of foam is their support layer which I really could feel. Its support could be felt as I rolled from side to side. I never felt as if I fully sank into the bed, but rather was nicely supported. The third layer is their support layer which they say allows the mattress to be used on almost any type of surface. One important thing to note is that this is an 11″ mattress whereas most competitors are only 9″ or 10″ mattresses. To me, this makes the bed feel more substantial – and my sheets fit on it better than most beds. 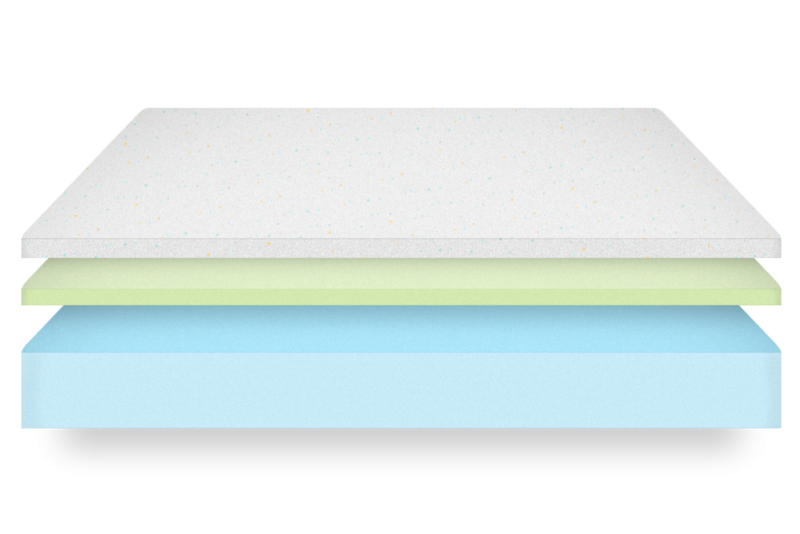 A look at the three different layers of the HIBR mattress. The cover felt very nice to the touch and can easily be zipped off without having to be moved. This makes washing the cover very easy since you don’t need to lift the bed up in order to get the cover off. The first thing I noticed when sleeping on the HIBR is how the bed gave me a small hug – but I still felt very supported. It’s not too soft, although the top layer does have some “give” to it. It then provides really nice support and you can almost feel the second layer of foam working. After two weeks on this mattress I noticed a big difference in my sleep. I was sleeping slightly deeper, but more importantly I felt that I would wake up more refreshed. The comfort of the HIBR mattress is actually hard to describe – it’s not soft by any means. If you’re a stomach sleeper and like soft beds or if you like the feel of a soft memory foam topper on your mattress, then you probably won’t like the HIBR. While this mattress isn’t soft, it’s definitely not on the firm side. If it were too firm then I couldn’t stand to sleep on my stomach while on this bed, however I slept great while on my stomach. It also supported me while on my side and back. A heavier person would definitely enjoy the support that the HIBR gives. The motion transfer on this mattress is wonderful. 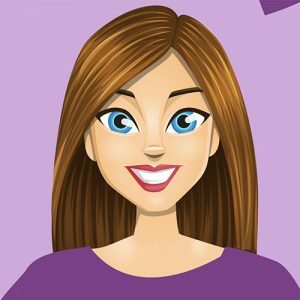 I could not feel my husband move around at night and nor could he feel my movements. It was like we had our own separate beds to ourselves. When compared to the bounce and movements of almost any innerspring mattress, this makes it feel like those commercials with the wine glass on the edge of the bed actually are true. The price of the HIBR mattress is relatively good when compared to the rest of the bed-in-a-box market. Tip: to save money right away, sign up for their referral program which they clearly advertise. Their warranty is for 10 years and seems pretty standard. It covers more than 1″ of sag on the mattress. The in-home trial they offer is for 100 nights – again, very standard in the online mattress world. Shipping is included in the price of the HIBR mattress. Mine came shipped in a box about the size of a small refrigerator and was very heavy. It was tough getting to the top floor, but very worth it once it was there. Overall, the HIBR is a great mattress – one that I truly enjoy sleeping on. If you also enjoy memory foam pillows, then check those out too. To find out more about the HIBR, check out the HIBR mattress website. The cooling definitely worked - not a hot night was slept on this mattress. A bit on the pricey side, but in my opinion it's worth it.